A charitable motorcycle rally that last year raised more than $3 million for the Special Olympics and other charities kicks off again this Friday. The Dream Ride is a 7-day event that sees motorcyclists travelling from Palm Beach, Fla., to Farmington, Conn. It kicks off on 15 August. Hundreds of motorcyclists and car enthusiasts take part, with the event growing in size and prestige each year. This year marks the 15th running of the event, which winds through seven U.S. states. Several smaller related events from other states will join up with riders when they reach Connecticut. And outside of the U.S., similar events will be held in Canada, Australia, New Zealand, and St. Kitts/Nevus. In addition to helping raise money for the Special Olympics, the charity also supports pet rescues, U.S. military veterans and organizations that fight diseases and support children and those with disabilities. 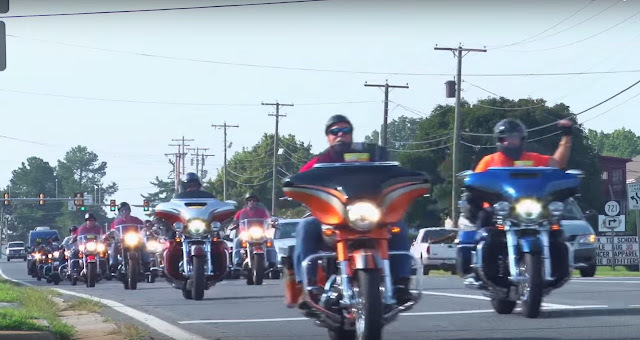 Last year, the Dream Ride charity raised $3.36 million.